Hello and Happy National Ice Cream Day! Today, July 15 is one very sweet and special day because today we celebrate our favorite sweet treat; ice cream! 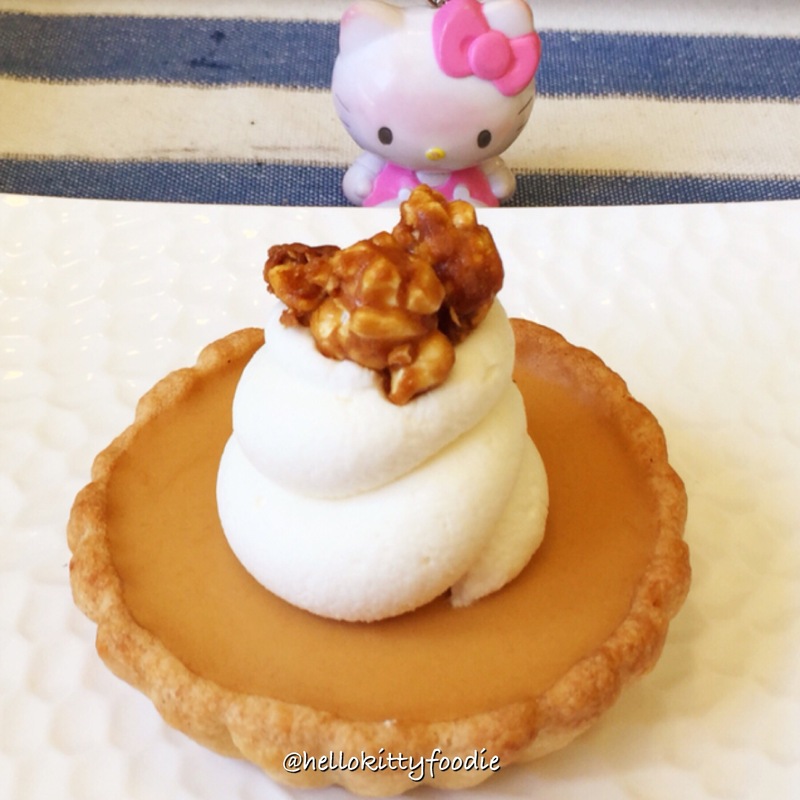 In honor of this delicious holiday, I am sharing with all of my dear Hello Kitty Foodies some special sweet spots where you can get some awesome sweet treats! 1.) Godiva – Aside from their amazing chocolates, Godiva also has soft serve ice cream! I love their white chocolate soft serve ice cream. Served on the raspberry and rose cone, this is definitely one beautiful and delicious treat! 2.) Wanderlust Creamery – One of my favorite things about Wanderlust Creamery is how they offer unique flavors from around the world! From Filipino ube to Japanese black sesame; it’s like you are going on an ice cream journey around the world when you eat here. 3.) -8C Ice Cream – Located in Gardena’s Pacific Square Plaza is this wonderful ice cream shop specializing in rolled ice cream. My favorite is the “Peanut Butter Jealous.” I topped this with some of my favorite toppings of mango, graham crackers and oreos. 4.) Scoops – At Far East Plaza, right across from hot spot Howlin’s Rays is a sweet spot called Scoops! This ice cream shop boosts unique flavors like lavender goat cheese, Guinness tiramisu and hazelnut passion fruit and Bianca bread. The Bianca bread is definitely one of my favorites. 5.) Mashti Malone’s – When in Hollywood, one definitely needs to check out Mashti Malone’s. They specialize in exotic flavors from Iran. Their creamy Alfonso mango ice cream is a must for any hot day! 6.) Melt Gelato – In the South Bay, Melt Gelato is the place to go for crepes and gelato. Located at El Segundo at Plaza El Segundo, they’ve got both sorbets and gelato. Who doesn’t love the Italian sweet treat? My gelato of choice is their coconut macadamia ice cream. 7.) Smitten Ice Cream – Who wouldn’t be smitten with Smitten? Their churned to order nitrogen ice cream is smooth, tasty and simply perfect. 8.) Bruster’s – With their handcrafted ice cream piled on a gigantic waffle cone; one can’t help but smile when getting a treat from this newly opened shop in Torrance! Cookie craze, cherry vanilla and black raspberry chocolate ice cream is calling my name. 9.) Pressed Juicery – A healthy frozen treat? Yes, please! Pressed Juicery brings healthy and happy with their Freeze! It puts a new spin on our favorite treat via this soft serve made out of cold pressed juices! 11.) 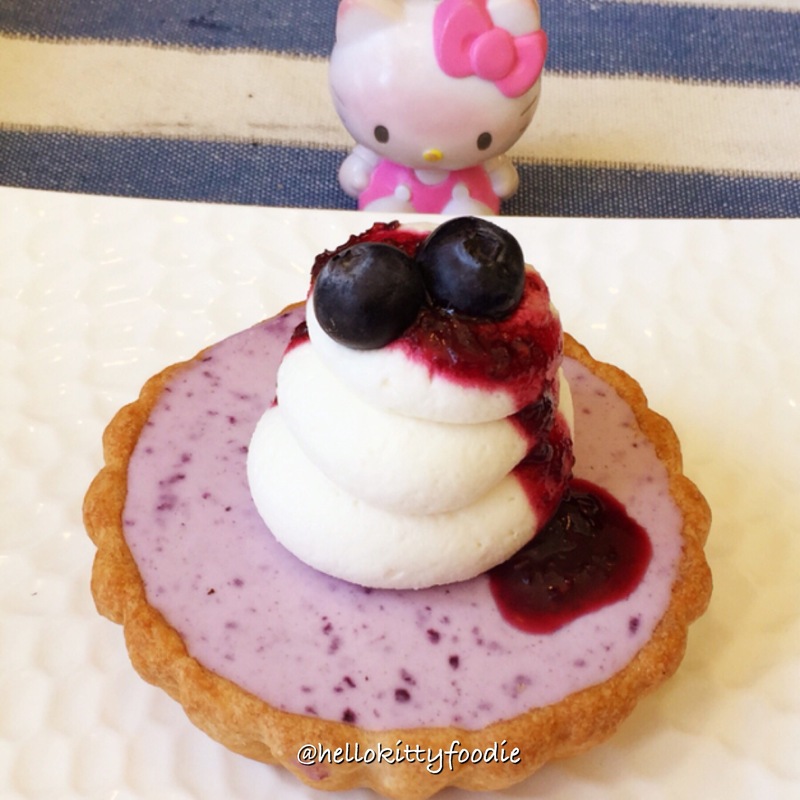 Afters Ice Cream – I fell in love with Afters during the Hello Kitty ❤️ Afters collaboration. Their awesome flavors include Cookie Monster and Cookie Butter! 12.) 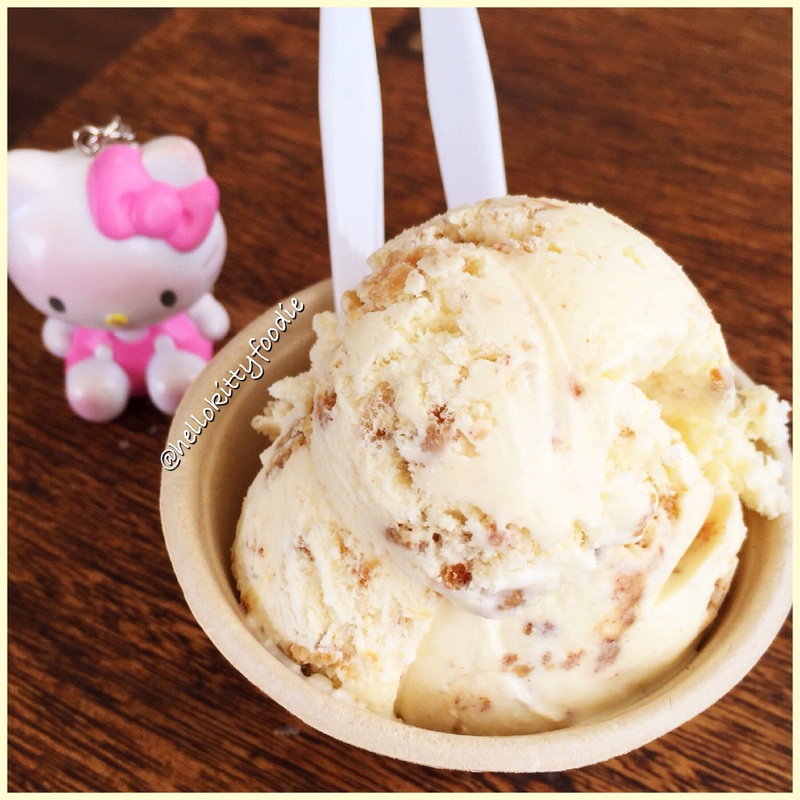 Kansha Creamery – Kansha means grateful in Japanese and I’m so grateful for this Japanese ice cream shop in Torrance. Their Mr. Universal with caramel and oatmeal cookies is the best! Aside from scoops of ice cream, they also offers parfaits. The matcha parfait seems to be a favorite of many. It consists of vanilla ice cream, matcha jelly, matcha syrup, mochi, corn flakes, red bean paste, whipped cream and matcha ice cream. 13.) 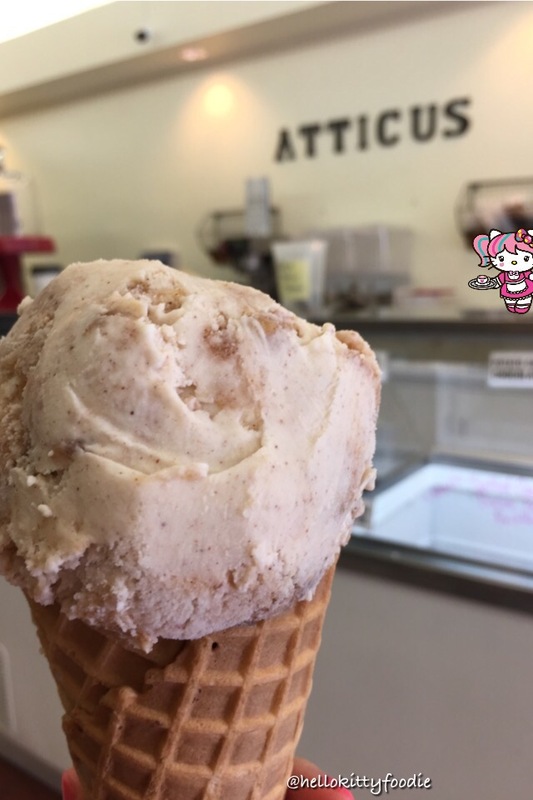 Hisaya Kyoto Roasted Chestnuts – This chestnut shop in Torrance is chestnut galore with their offerings of chestnuts, chestnut coffee, chestnut tiramisu and chestnut ice cream! Their Mt. Fuji sundae is packed with delicious ice cream! Ice cream choices include matcha, chocolate, strawberry and chestnut flavor. 😉 This sundae is a 9oz ice cream that is perfect for National Ice Cream Day! 14.) Kream Kong Ice Cream – Seen at the OC Market, Kream Kong Ice Cream will soon be hitting up the streets via a new ice cream truck! Their offerings are handcrafted, organic and made from locally sourced ingredients. Their delicious flavors include peanut butter and jelly, ube, red velvet, avocado and banana cream pie. Kream Kong Ice Cream Truck will be launching this summer. I’m sure we are all now screaming for ice cream on National Ice Cream Day! All of the place above are some places that are sure to make you smile (and scream for) their ice cream. I hope every one enjoys a scoop or two 😉 today! Happy National Ice Cream Day! For lunch eat some 🍣 Hello Kitty Sushi. For happy hour and relaxation time, indulge in some 🍾🍷Hello Kitty Wine! Lastly for some sweets and treats, enjoy with the newly debuted Sanrio ❤️ Sugarfina candies! Hello Kitty Foodies our sweetest dreams are coming true as Sugarfina and Sanrio come together to bring us the cutest candy collection ever! It now looks like I will have a new cute favorite from Sugarfina with the debut of this new collaboration with Sanrio! 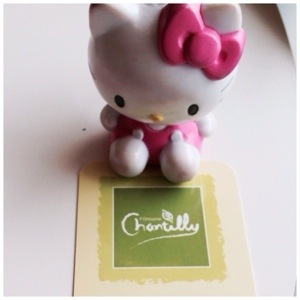 I am head over heels in love with the two new Hello Kitty inspired gummies that they are offering! Yes, Hello Kitty Foodies; there are not one but two Hello Kitty candies! One is a gummy in the shape of Kitty’s signature bow and the other is a Hello Kitty gummy in the shape of her face. 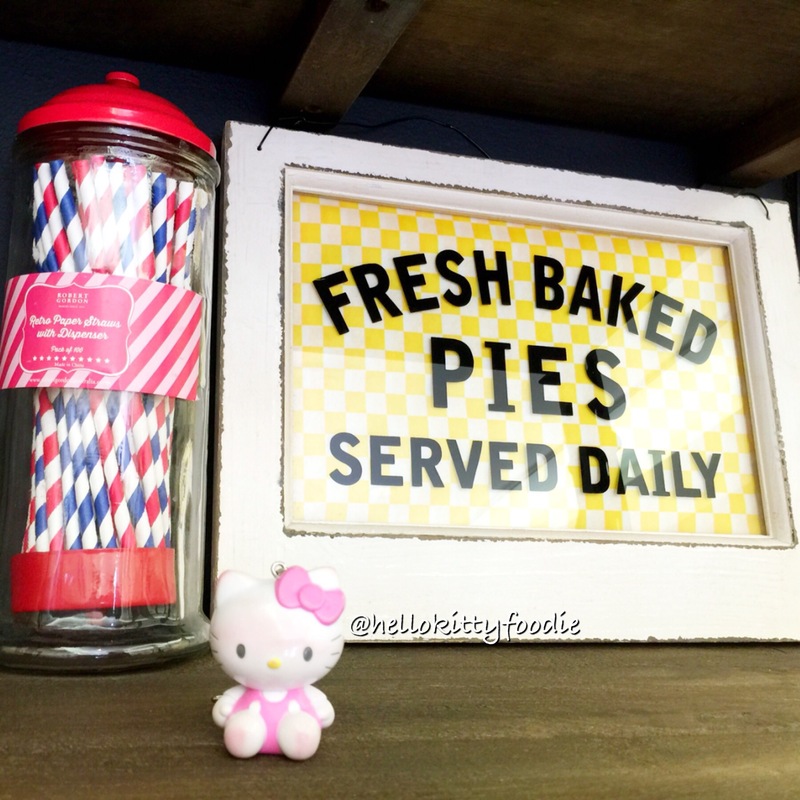 The flavor’s for both are Hello Kitty inspired. The bow gummies are flavored like sweet strawberries while the Hello Kitty face gummies are flavored like apple pie; Kitty’s favorite food and Mama Kitty’s speciality! To make it even more kawaii; both candies are included in a Sugarfina limited-edition bow-shaped bento box! Not only is Sugarfina debuting Hello Kitty Sugarfina candies; they are also going to offer candies inspired by some of Hello Kitty’s favorite friends; Keroppi, Gudetama, My Melody, Chococat and Badtz-Maru. After all; it can’t be a sweet party without your sweetest friends! Hello Kitty and her friends’ Sugarfina candies are all available for purchase in individual cubes. They also can be bought in Sugarfina’s first-ever Pop-Up Candy Bento Box. The box is a magnetic box that opens to reveal a special surprise of a pop-up diorama featuring the Sanrio characters. The entire Sanrio ❤️ Sugarfina collection will be available in-store and online Monday, September 18th. The first 25 people in line at Sugarfina boutiques will receive a free Sanrio character cube of their choice. There will also be several special events to celebrate Sanrio ❤️ Sugarfina! Sugarfina and Neiman Marcus will host launch events in Beverly Hills, San Francisco, Dallas, New York, Oakbrook, Honolulu and Vancouver. 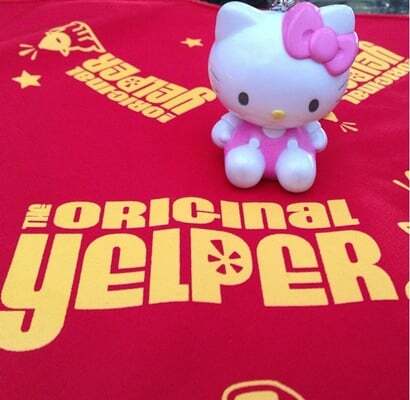 Hello Kitty herself will be present as well as Sugarfina founder Rosie O’Neill. Folks attending can sample sweet treats and be the first to shop the new Sanrio ❤️ Sugarfina candy collection. 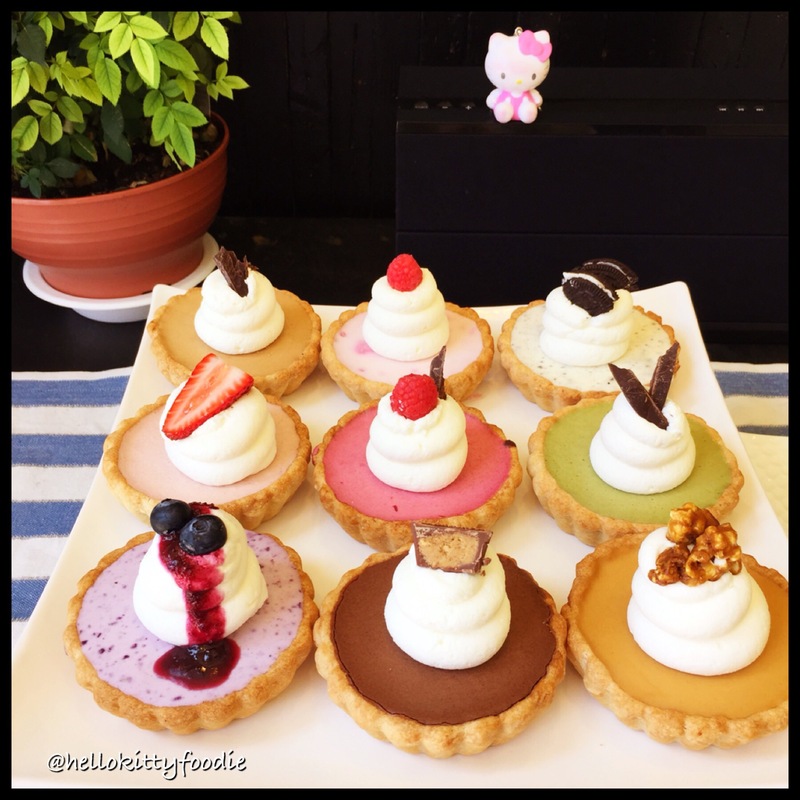 Hello Kitty Foodies will sure be in for a sweet treat with the Sanrio ❤️ Sugarfina collections! Kisses to Sugarfina! 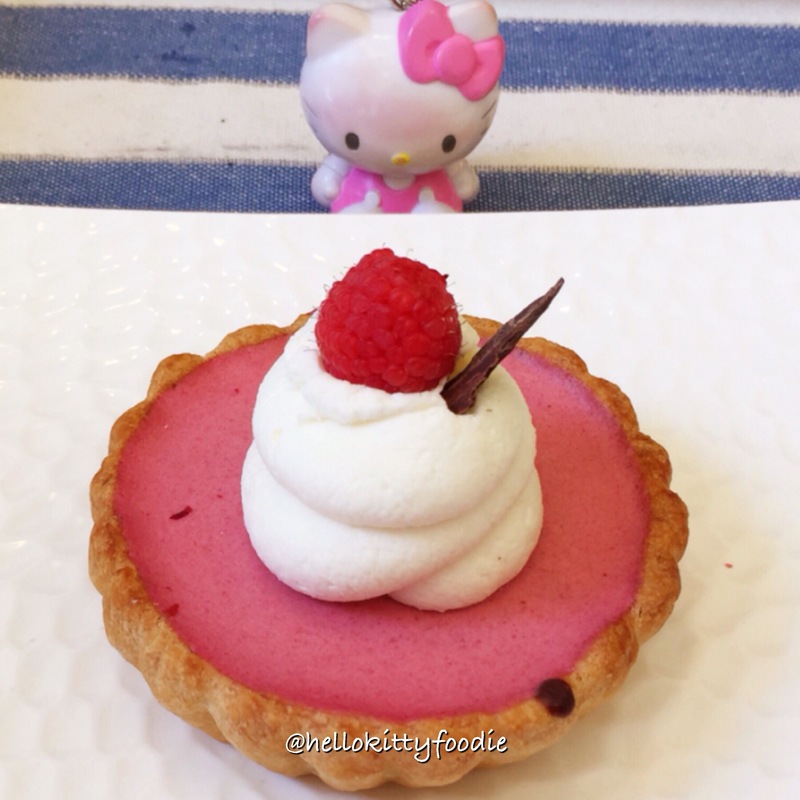 This Hello Kitty Foodie is so excited! Hello The Original Ghirardelli Ice Cream and Chocolate Shop! I started the day seeing the Golden Gate Bridge and wrapped up the afternoon with a Golden Gate Ghirardelli Banana Split…..
On my recent trip to San Francisco, one of the sweetest and nicest places I visited was Ghirardelli Square and the Original Ghirardelli Ice Cream and Chocolate Shop. Ghirardelli Square is located in Fisherman’s Wharf and is home to several different shops and restaurants. Out of all the restaurants however, the Original Ghirardelli Ice Cream and Chocolate Shop is my favorite. Ghirardelli chocolate was founded in 1852 by Italian Domenico Ghirardelli It is now the US’ longest continuously operating chocolate manufacturer. One of the best things about visiting The Original Ghirardelli Ice Cream and Chocolate Shop is you get to see and learn all about how Ghirardelli chocolate is made. 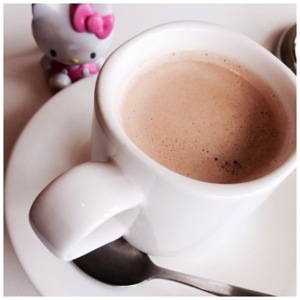 Hello Kitty Foodies can view a display of the chocolate making process with the original machinery used from 1852! They still use the same traditions that Domenico Ghirardelli began over a century ago. Step 1 is the Cocoa Bean Roasters. At this station os where the outer shell of the cocoa bean are removed. Once removed what is left behind the inside is what they call the nib. These nibs are roasted to give that unique Ghirardelli flavor. Step 2 is the Chocolate mills where the heat melts the cocoa nibs into the chocolate liquor. Step 3 is the Melanger where granite rollers mix the chocolate liquor with different ingredients. Step 4 is the final step and it consist of conche. This where the chocolate is smoothed out to its final texture. The Golden Gate Banana Split consists of vanilla, strawberry and Ghirardelli Chocolate ice cream on top of a banana. The terrific trio is then topped with crushed pineapple, strawberry and handmade hot fudge whipped cream, diced almonds and a cherry! What a landmark sundae indeed! It is quite a sight and a tasty one too! Visiting The Original Ghirardelli Ice Cream and Chocolate Shop in Ghirardelli Square was definitely one of the sweetest parts of my San Francisco visit! 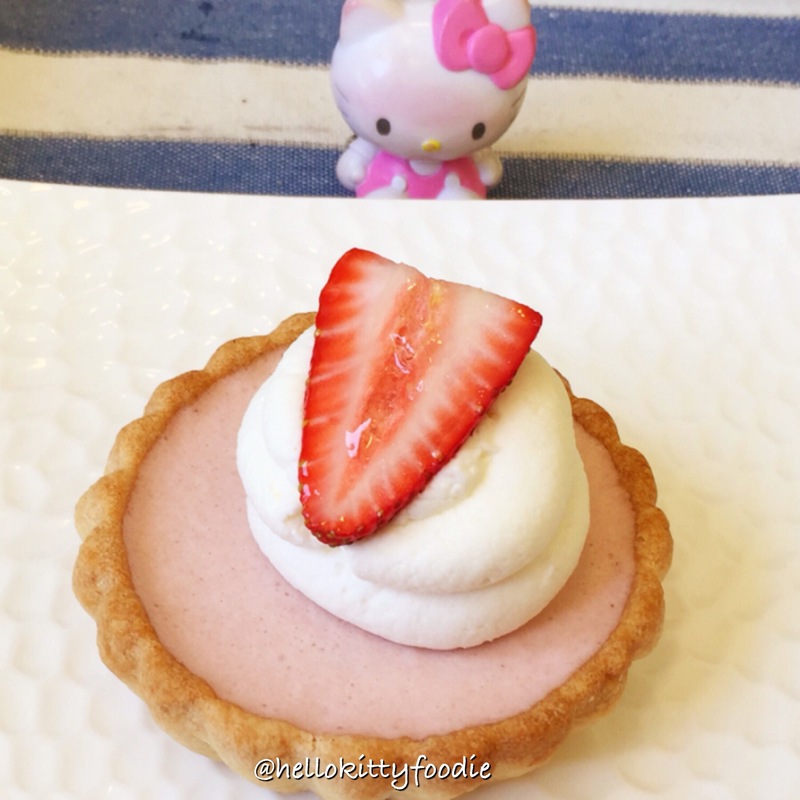 For any Hello Kitty Foodies visiting the Bay area, I would definitely recommend visiting for a sweet learning experience and a sweet indulgence. Hello Atticus Creamery and Pie! 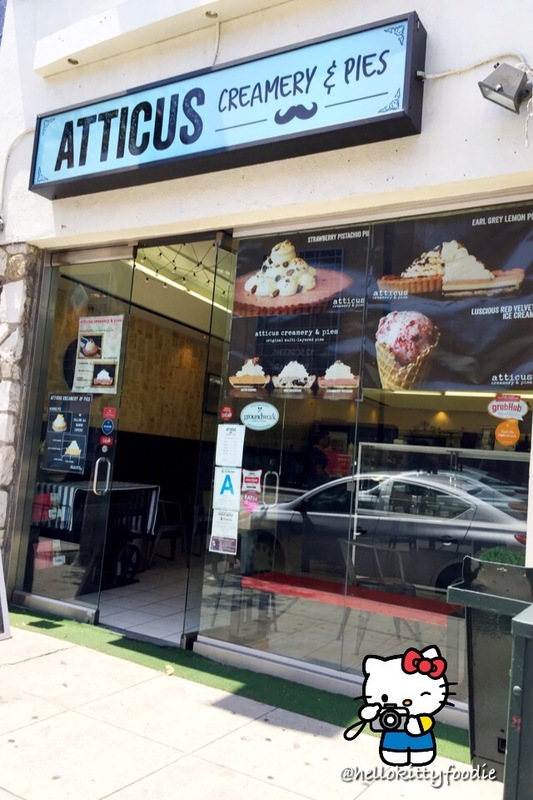 Located in West LA, is Atticus Creamery and Pies, a cute little pie shop selling pies and ice cream that are made fresh daily. All of the pies from here are made with natural homemade ingredients. There are no preservatives whatsoever. Every single thing in the pie is made by Atticus Creamery, from the fruit jams drizzled on top of the pie to the 100% all butter handmade pie crust. Walking into this pie shop, I was instantly in awe of the beautiful and delicious looking pies. Each was consisted of four layers- the bottom, filling, light cream and the toppings. They have so many delicious flavors to choose from but it is the classic pies that are the popular choice for many. 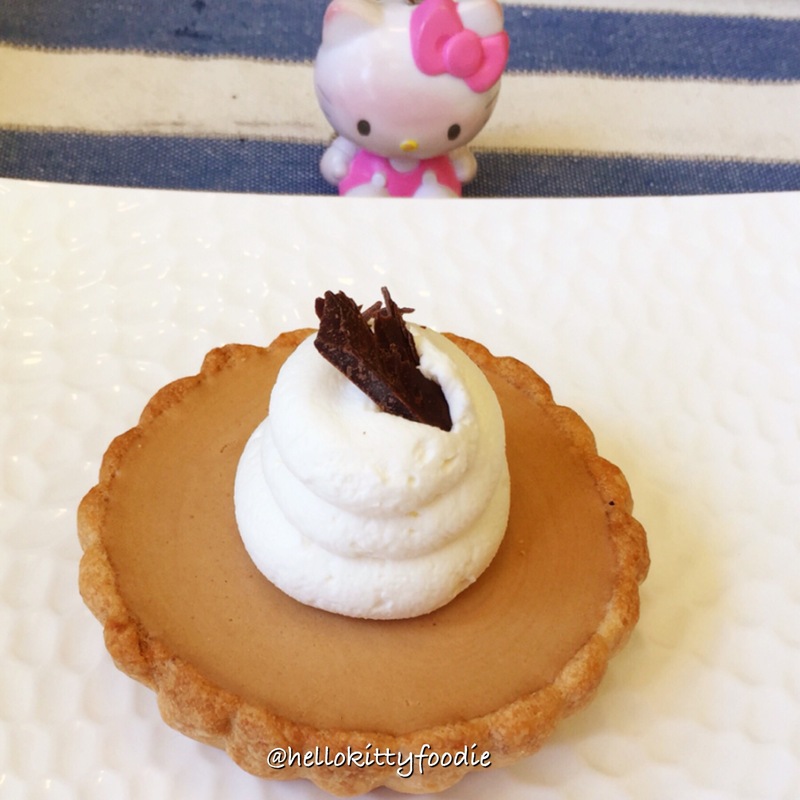 The salted caramel pie has chocolate ganache at the bottom and is filled with homemade caramel mousse. On the top is light cream and caramelized popcorn! The mix of the salty and sweet is very distinct at first bite. The earl grey pie is made with dark grey mousse and filled with chocolate ganache. The earl grey mousse is made from real earl grey tea leaves. The chocolate ganache is homemade ganache from Belgium artisan chocolate from Callebaut. On the top is light cream and little Callebaut chocolate pieces on top. I loved the mixture of dark grey mousse with the chocolate ganache. They mix well together to simply create perfection. My favorite of the classic pies is the coconut banana. This pie is filled with homemade custard and chunks of banana inside. 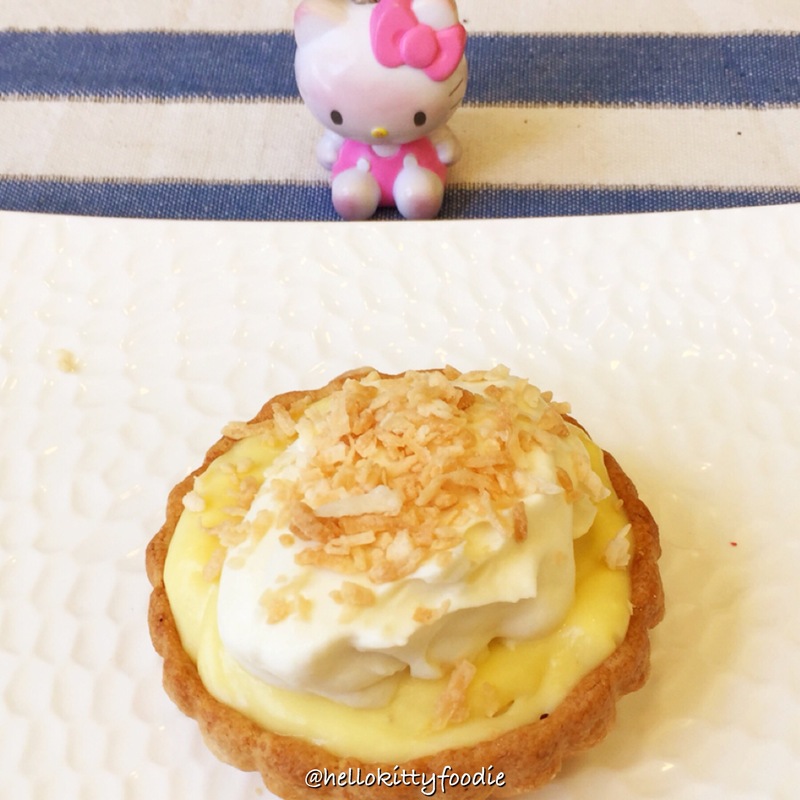 It is topped with coconut custard and toasted coconut pieces. The custard is so smooth and the banana truly comes out. Aside from classic pies, Atticus creamery has cheesecake pies! I love cheesecake and was so excited to see they have cheesecake pies here. 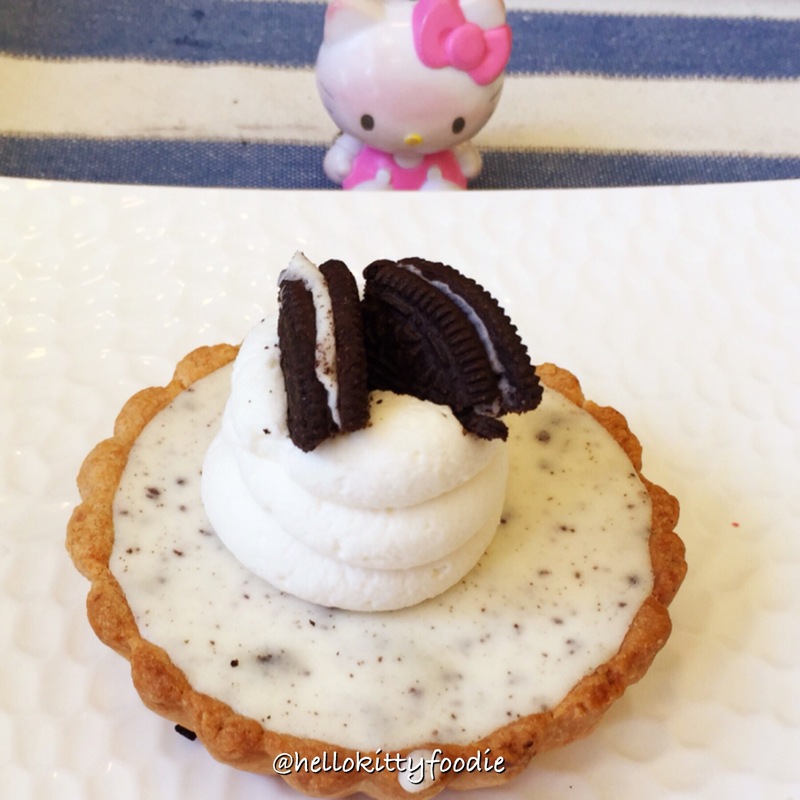 My favorite of their cheesecake pies is the oreo cheesecake. It’s creamy and smooth with lots of oreo filling. The oreo cheesecake is for the cookie lovers but for those who prefer more fruit flavors, do not fear because Atticus Creamery has something for the fruit fans too. They have a blueberry cheesecake pie. It is filled with blueberry cheesecake and blueberry jam. The top has light cream, a real blueberry and blueberry sauce drizzled all over. There is also a raspberry cheesecake at Atticus Creamery and Pies. It is filled with raspberry cheesecake and chocolate ganache. The top has light cream and real raspberry fruit! I can definitely say one can taste that raspberry flavor instantly with this pie. From classic pies to cheesecake pies, Atticus Creamery and Pies steps it up even more with their special pies. Similar to the raspberry cheesecake but with raspberry filling and chocolate is the raspberry chocolate pie. There is light cream on top and real raspberry fruit on top too. My favorite fruit speciality pie though is the strawberry pistachio. This is filled with strawberry cream mousse. The bottom is filled with pistachio cream and then topped with light cream and a real strawberry. I love how you can taste the real strawberry flavor and the pistachio flavor in this pie. 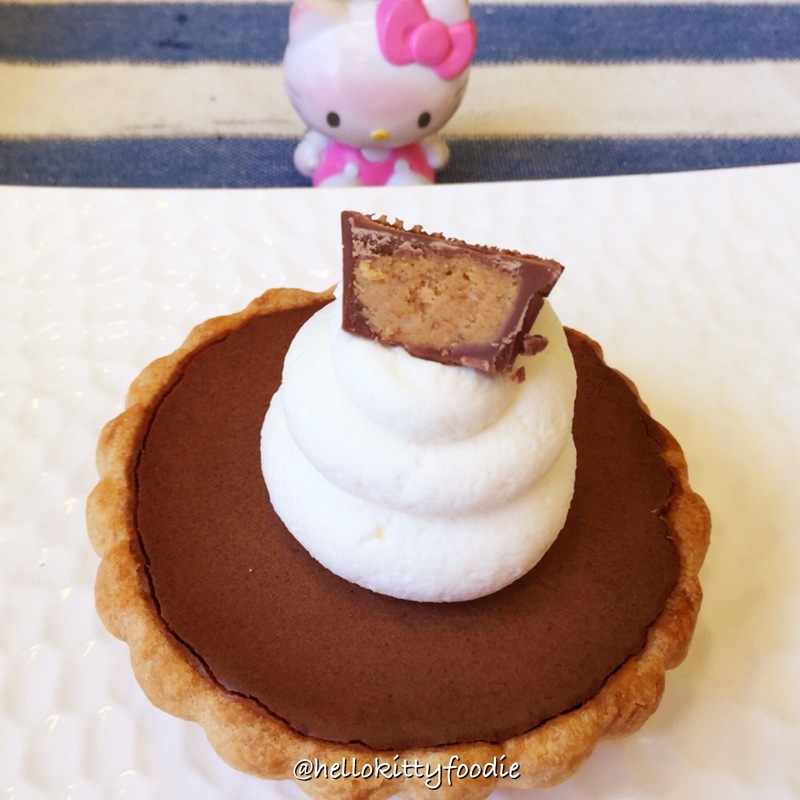 My other favorite speciality pie is the Reese’s Peanut Butter Pie. This is a must for anyone who likes Reese’s! It is made with chocolate mousse cream along with a peanut butter bottom. The top has light cream and real piece of Reese’s peanut butter cup. 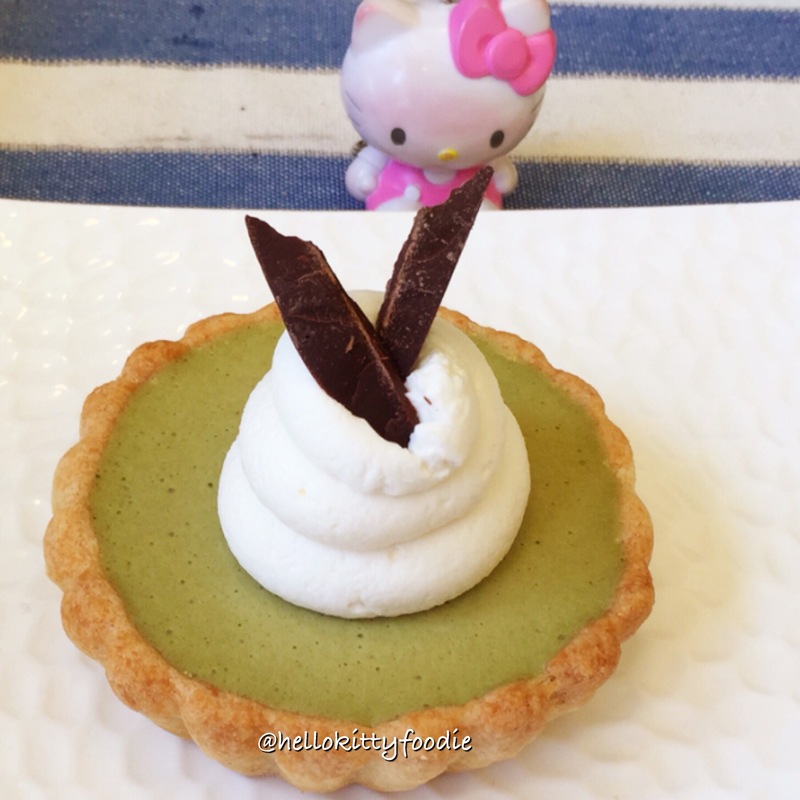 Last but definitely not the least is one of the newest pie offerings here, the Green Tea. This one has green tea filling and light cream on top with chocolate pieces. The matcha flavor is amazing. The deliciousness at Atticus Creamery and Pies does not stop at their pies though because their ice cream offerings are equally as delicious! Similar to the pies, the ice cream is made fresh daily. They have several delicious flavors to choose from such as honey honeycomb, caramel macchiato, chocolate and potato chips, milk and cereal, red velvet cake, salted caramel pretzel brittle, nutella ferrorocher and york peppermint. One of the things that really struck me with their ice cream is the ingredients they put in! They put the real deal in there and you can taste it right away. The nutella ferrorocher, tastes like you’re really eating that ferrorocher candy. The chocolate potato chip has real Lay’s potato chips! The milk and creel has frosted flakes. It is so wonderful. I really liked the Brown Sugar Apple Pie ice cream. It is brown sugar ice cream with cinnamon apple pie filling & fresh baked pie crust. This one was tasted like homemade apple pie. For more smiles, please see my Yelp review on Atticus Creamery and Pies. Hello Mom’s Baked Filipino Desserts! My mom has been on a baking kick recently! She’s been experimenting with various Filipino kakanin. Kakanin is Filipino term for Filipino sweet delicacies. They are sweet desserts that typically include coconut milk and sweet rice. One special main ingredient that is never missing is love. These desserts are always made with a labor of love. They’re typically served at family parties and special occasions. 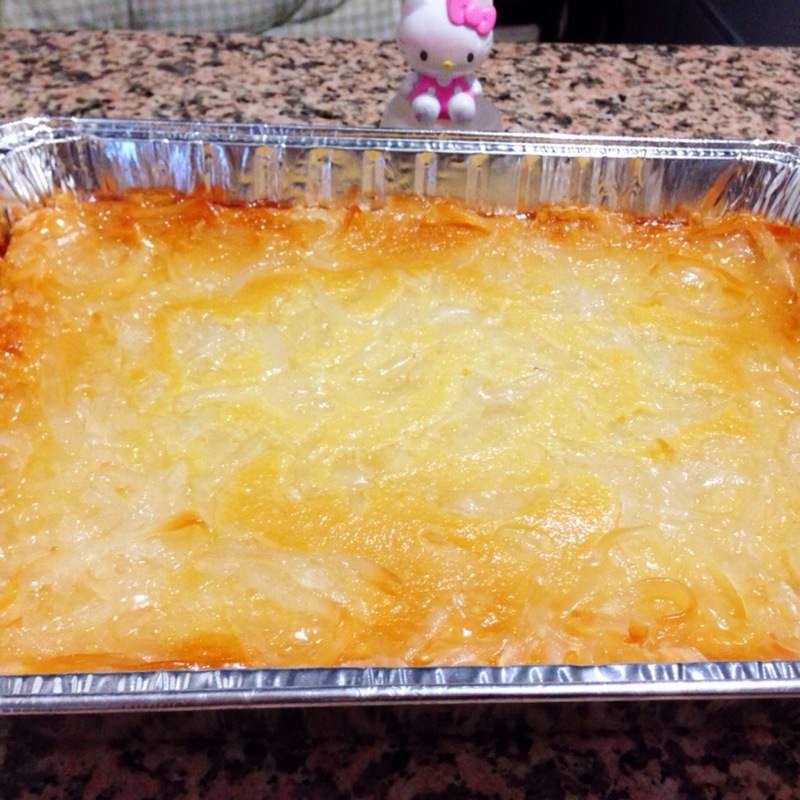 One of my favorite Filipino desserts that my Mom has recently made is cassava. Ingredients she used for this sweet dessert are: 2 packages of grated cassava, 2 cans coconut milk, 1 can condensed milk, 4 eggs and macapuno strings. First up for making this was she preheated over to 325F. She then mixed all of the above ingredients in a mixing bowl and then poured it into a rectangular pan. After baking for about 30 minutes, she topped the cassava with the macapuno strings, spread it evenly and then put it back in the oven for another 30 minutes. The result of this was a wonderfully soft cassava cake. I loved the overall soft consistency of the cake throughout and the macapuno strings on top were a nice touch! It gave a perfect sweet kick! The other Filipino kakanin that my mom recently experimented making is karioka! 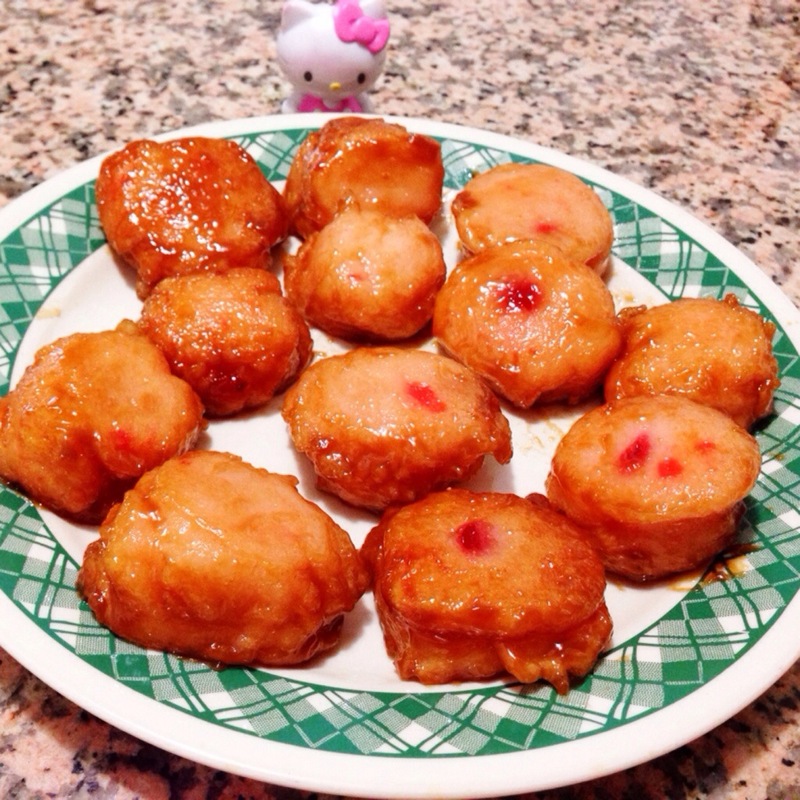 Karioka is a sweet sticky rice ball deep fried. Ingredients for the main rice ball are 1 cup sweet rice flour, 3/4 cup coconut milk, 2 cups cooking oil and 1 cup shredded coconut. For the outside glaze, ingredients are 1/2 cup coconut milk and 1/4 cup brown sugar. 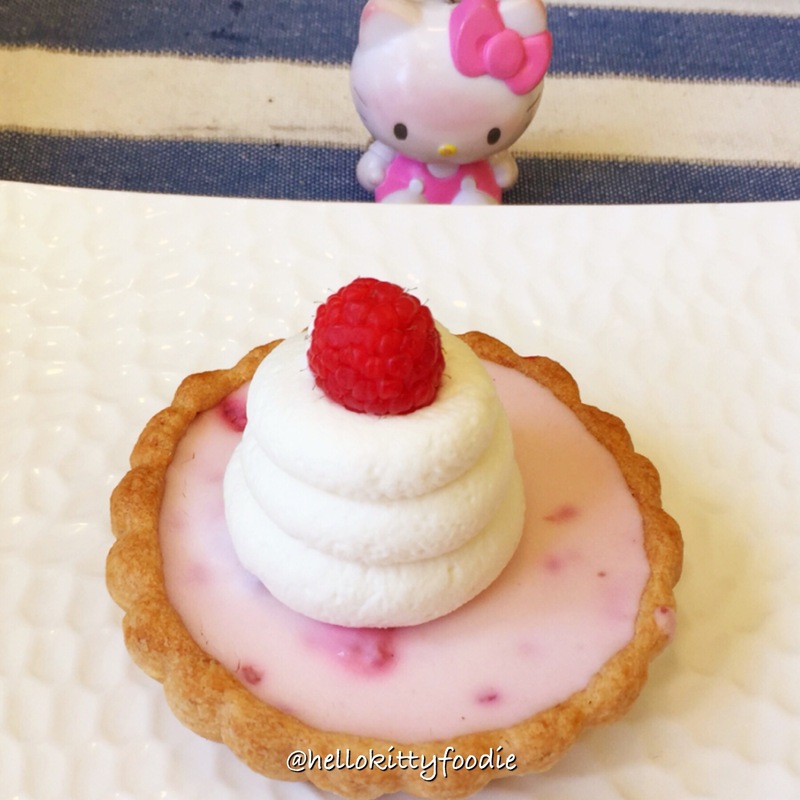 With it’s light mint green walls, cute and clean white tables with pink fuchsia and lime green chairs, it was hard for me not to fall in love with Patisserie Chantilly. I just got that warm, happy feeling walking into this pastry shop. When I spotted their delicious looking desserts and their coffee and tea menu, I knew I had found my latest pastry shop crush. Patisserie Chantilly has a small drink menu consisting of various hot beverages like cafe lattes, English tea and Japanese green tea. They also have several iced beverages. I decided to get a hot beverage via their crema coffee. Their crema coffee is brewed with premium espresso beans that they import from Italy. I loved the cute presentation of how the crema coffee was served. 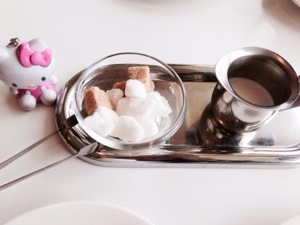 The petite coffee cup was served with a neat tray that had white and brown sugar cubes in a cup along with a small cup of cream. The crema coffee was simply delightful and heartwarming. It was light and sweet. 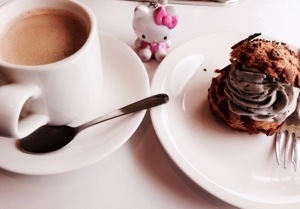 It was a delightful drink for a cold day and a perfect pair to the pastry dish that I ordered. 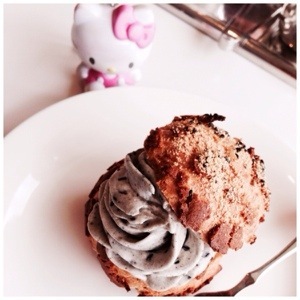 For my pastry, I chose to get the Choux aux sesame or black sesame cream puff. The choux aux sesame was one heavenly treat. The cream puff outer layer was so soft and delicate. The inside of the cream puff was a wonderful smooth, blend of sesame, honey and cream. It was love at first bite with this delectable dessert. A cute little shop with delicious drinks and pretty pastries, Patisserie Chantilly now tops my list of sweet places that make me smile.